Draft: 2012, New York Yankees, 13th rd. James Manuel Pazos… Attended University of San Diego (CA) and was named to 2012 Rawlings All-West Coast Conference Team… Also attended Chandler Gilbert Community College (AZ)… 2009 graduate of Highland High School (AZ)… Earned All-Arizona honors and Fiesta Region Pitcher of the Year as a senior. Appeared in a career-high 60 games for SEA...Walked a batter in his first outing and then did not walk another in his next 26 appearances, 4/7-6/12... Recorded a career-long 14.0-inning scoreless streak, 4/10-5/15, and allowed only 1 ER in 19.2 IP (0.46 ERA) from 4/10-6/6...Made 12 appearances on zero days' rest, posting a 1.04 ERA (1 ER, 8.2 IP) in those games...Optioned to Tacoma (AAA) on 8/18 and recalled by SEA on 9/1 for the remainder of the season. Totals - Was 4-5 with 3.86 ERA (23 ER, 53.2 IP) in 59 relief appearances... Strong Start - Was 2-1 with 2.01 ERA (7 ER, 31.1 IP) with 38 strikeouts in first 30 games of season…posted 12.38 ERA (11 ER, 8.0 IP) in next 11 appearances, before posting 3.14 ERA (5 ER, 14.1 IP) over his final 18 outings... Full Season - Set career bests in wins, games, innings, strikeouts and ERA in his first full Major League season... Bullpen Marks - Among Seattle relievers was 2nd in strikeouts (65), T2nd in wins (4), 3rd in innings (53.2), 4th in games (59) and ERA (3.86) and 5th in opponent batting average (.248)... Limiting Lefties - Held lefties to a .218 (17x78) batting average; .266 (34x128) vs. righties... Providing Length - Made 13 appearances of 1.1+ inning, including three outings of 2.0+ frames…when pitching 1.1+ innings, posted 0.43 ERA (1 ER, 21.0 IP) with 24 strikeouts... Lefty Length - His 53.2 innings were 9th-most by left-handed reliever in American League... Good Run - Had a 1.40 ERA (3 ER, 19.1 IP) with 24 strikeouts from May 5-June 19... Winner - Win #1 on May 6 at TEX, tossing shutout T7th (Mariners scored 7 runs in B7)... Big Game - Hold #1 with season-high 2.1 IP April 28 at CLE...0 R, 4 K, 2 H in 3-1 win. Totals - Went 1-0 with a 13.50 ERA (5 ER, 3.1 IP) in seven relief outings in three stints with New York-AL (5/4- 5, 5/17-20 and 9/6-10/2) but did not appear in a game in first two stints... Debut - Season debut in Sept. 6 win vs. Toronto (1 BF, 1 H)... First Win - Earned first MLB win on Sept. 28 vs. Boston, retiring his only batter faced in the ninth (0.1IP) before Mark Teixeira's walk-off grand slam... Minor Work - In 23 relief outings with AAA Scranton/Wilkes-Barre, going 2-2 with one save and a 2.63 ERA (8 ER, 27.1 IP) and 41 strikeouts.. Injury - On minor league D.L. from June 9-Aug. 25 with left elbow inflammation… made two rehab relief outings with Short-A Staten Island (3.2 IP, 3 H, 1 BB, 6 K). Made his Major League debut with the Yankees (9/1-10/4), throwing 5.0 scoreless innings over 11 appearances (3H, 3BB, 3K)...marked the second-most appearances by a pitcher who did not allow a run in a season in Yankees history, trailing only Matt Smith in 2006 (12 games, 12.0IP)...opponents batted .176 (3-for-17, 0HR); LH .273 (3-for-11, 0HR); RH .000 (0-for-6, 0HR)...retired 8-of-11 first batters faced (72.7%) in relief...allowed 1-of-5 inherited runners to score (20.0%)...Was signed to a Major League contract and selected to the Yankees' roster from Triple-A Scranton/Wilkes-Barre on 9/1...Made his Major League debut on 9/5 vs. Tampa Bay, retiring both batters faced (0.2IP, 1K)...Recorded his first career strikeout on 9/5 vs. Tampa Bay, getting Daniel Nava looking...marked the only strikeout of his first 10 games (4.0IP, 2H, 0R, 2BB, 1K), tied for the second-fewest strikeouts through 10 career games by a Major League pitcher since 1914 (Kansas City's Ken Ray-0K through first 13G in 1999)...Combined with Double-A Trenton and Triple-A Scranton/Wilkes-Barre to go 3-1 with three saves and a 1.27 ERA (42.2IP, 6ER) in 27 relief appearances...began the season on Double-A Trenton's disabled list...was reinstated on 5/28 and earned one save with a 1.86 ERA (9.2IP, 2ER) in six relief appearances...had 12K and did not walk a batter...Was promoted to Triple-A Scranton/WB on 6/16 and went 3-1 with two saves and a 1.09 ERA (33.0IP, 4ER) and 37K in 21 relief appearances (15BB)...allowed just 1ER over his final 14 games from 7/12-8/25 (20.0IP, 23K)...Attended spring training as a non-roster invitee with the Yankees, posting a 2.08 ERA (4.1IP, 1ER) with 6K in five relief appearances. Combined with Single-A Tampa (18G/1GS) and Double-A Trenton (28G) to go 0-3 with a 2.42 ERA (67.0IP, 51H, 20R/18ER, 25BB, 75K) in 46 games (one start)...held opponents to a .209 batting average (51-for-244)...permitted just 9XBH and no HRs (7 doubles, 2 triples)...was 10-for-10 in save opportunities, fourth-most saves among Yankees minor leaguers...Allowed 8ER in his first 9.1IP, but produced a 1.56 ERA (57.2IP, 10ER) in his final 40 appearances...Logged a 3.96 ERA (25.0IP, 23H, 13R/11ER, 6BB, 33K) at Tampa...recorded multiple strikeouts in 12-of-18 outings... promoted to Trenton on 6/3, recording a 1.50 ERA (42.0IP, 7ER) and .190 opponents' BA (28-for-147) with the Thunder...allowed only 1R during a 22-appearance span from 6/12-8/21, producing a 0.28 ERA (32.2IP, 1ER) and .148 opponents' BA (16-for-108) in that stretch. Combined to go 3-1 with one save and a 3.93 ERA (34.1IP, 28H, 15ER, 9BB, 33K) over 25 relief appearances with short-season Single-A Staten Island and Single-A Charleston...held opponents to a .220 batting average (28-for-127)...Began the season with Staten Island, throwing 1.0 scoreless inning (1H, 1BB, 1K) in one appearance on 6/17 vs. Brooklyn...was transferred to Single-A Charleston on 6/21 and spent the rest of the season there...Following the regular season, went 1-0 with a 1.74 ERA (10.1IP, 2ER) in 10 relief appearances for the Scottsdale Scorpions of the Arizona Fall League. Made his professional debut with short-season Single-A Staten Island, going 2-2 with three saves and a 1.79 ERA (40.1IP, 29H, 9R/8ER, 19BB, 39K) in 28 relief appearances... was named to the NYPL All-Star Game...was scoreless in 25-of-28 appearances, including a 13.2-inning scoreless streak over his final 10 games (6H, 4BB, 14K). March 21, 2019 Philadelphia Phillies optioned LHP James Pazos to Lehigh Valley IronPigs. September 1, 2018 Seattle Mariners recalled LHP James Pazos from Tacoma Rainiers. August 19, 2018 Seattle Mariners optioned LHP James Pazos to Tacoma Rainiers. November 18, 2016 New York Yankees traded LHP James Pazos to Seattle Mariners for RHP Zack Littell. September 6, 2016 New York Yankees recalled LHP James Pazos from Scranton/Wilkes-Barre RailRiders. August 25, 2016 Scranton/Wilkes-Barre RailRiders activated LHP James Pazos from the 7-day disabled list. August 19, 2016 Scranton/Wilkes-Barre RailRiders sent LHP James Pazos on a rehab assignment to Staten Island Yankees. June 12, 2016 Scranton/Wilkes-Barre RailRiders placed LHP James Pazos on the 7-day disabled list retroactive to June 9, 2016. May 20, 2016 New York Yankees optioned LHP James Pazos to Scranton/Wilkes-Barre RailRiders. May 17, 2016 New York Yankees recalled James Pazos from Scranton/Wilkes-Barre RailRiders. May 5, 2016 New York Yankees optioned LHP James Pazos to Scranton/Wilkes-Barre RailRiders. May 4, 2016 New York Yankees recalled James Pazos from Scranton/Wilkes-Barre RailRiders. March 26, 2016 New York Yankees optioned LHP James Pazos to Scranton/Wilkes-Barre RailRiders. September 1, 2015 New York Yankees selected the contract of James Pazos from Scranton/Wilkes-Barre RailRiders. June 16, 2015 LHP James Pazos assigned to Scranton/Wilkes-Barre RailRiders from Trenton Thunder. May 28, 2015 Trenton Thunder activated LHP James Pazos from the 7-day disabled list. April 9, 2015 Trenton Thunder placed LHP James Pazos on the 7-day disabled list. 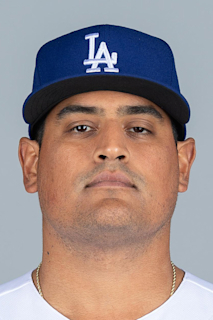 February 5, 2015 New York Yankees invited non-roster LHP James Pazos to spring training. June 3, 2014 LHP James Pazos assigned to Trenton Thunder from Tampa Yankees. March 31, 2014 LHP James Pazos assigned to Tampa Yankees from Charleston RiverDogs. March 14, 2014 LHP James Pazos assigned to New York Yankees. September 11, 2013 LHP James Pazos assigned to Scottsdale Scorpions. June 21, 2013 LHP James Pazos assigned to Charleston RiverDogs from Staten Island Yankees. June 18, 2012 James Pazos assigned to Staten Island Yankees from New York Yankees. June 14, 2012 New York Yankees signed LHP James Pazos.